Long before every bit of recorded music known to man was available on the internet, I sometimes dubbed History of Jazz Drumming audiocassettes for a few drummer friends. My music source was my personal record and tape collection — which was pretty good. 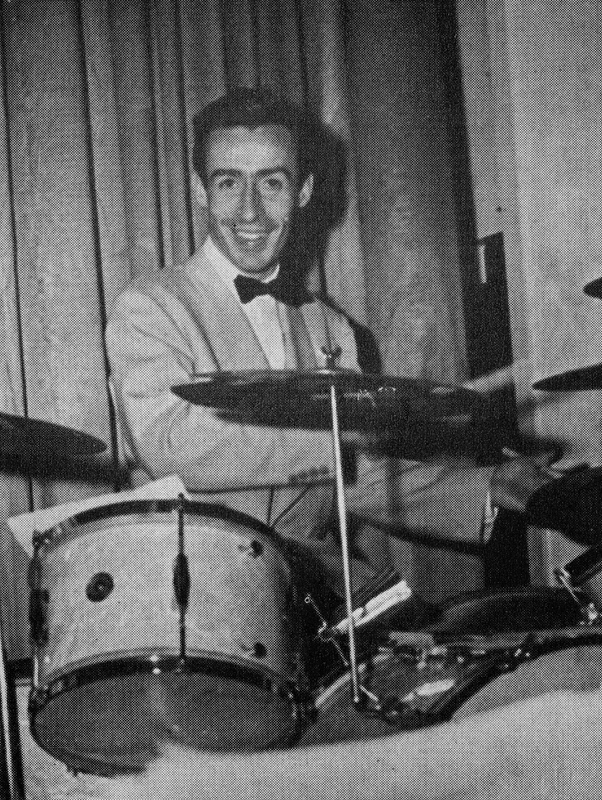 For drummer Dave Tough I always steered clear of Tough’s more oft cited work with Woody Herman‘s big band, and instead used Opus 1/2 from my LP of the Benny Goodman Trio, Quartet, Quintet. I love Goodman’s Trio and Quartet. Gene Krupa was the usual drummer. 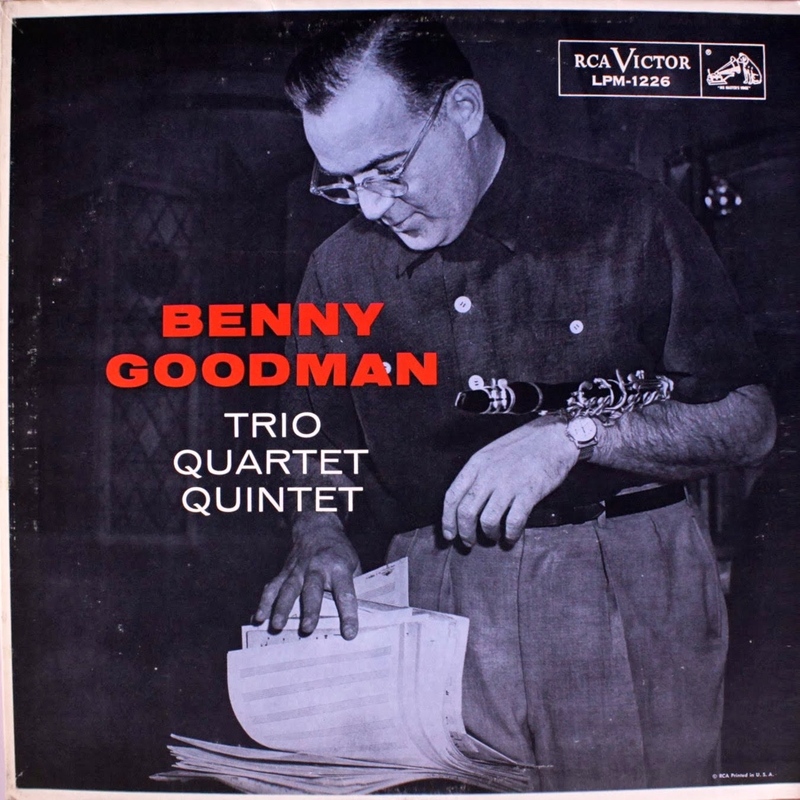 The original trio was Goodman, pianist Teddy Wilson, and Krupa. Later, Lionel Hampton on vibes made it a quartet. These were truly groups of star, innovator musicians who always swing their tails off! Listen carefully to Dave Tough backing the Goodman Quartet as a group and behind the individual soloists. Swinging? Yikes! And on what parts of the drumset — if Tough is even using a full drumset — is he playing??? A hi-hat, for sure. Then what? His hi-hat stand? Snare drum rim? I’ve never figured it out. Which, I think, is part of the fun listening to it. Whatever Dave Tough is playing — I love it. It’s beyond straight timekeeping, but he’s super supportive and musical. This remains on my short list of must hear drum records. Bon appetit! This entry was posted in SKF Blog and tagged Benny Goodman, Dave Tough, Drummer, Opus 1/2, Scott K Fish. Bookmark the permalink. Thanks for reminding everybody how great Dave Tough is. That ringing sound is indeed the hi-hat stand. You mute the hi-hat cymbals with your left hand when playing traditional grip and your stick is already in the perfect spot for playing the stand. Those old hi-hat stands have the most beautiful, bell-like sound. Billy Higgins uses the same sound on Haden’s bass solo on “Ramblin'”, even without actually playing the hi-hat cymbals. New hi-hat stands just don’t sound at all; another reason to play vintage hardware as well. Those double strokes later on are hard to tell; my best guess would be muted hi-hat cymbals as well, with the left hand playing from underneath. Dave Tough always comes up with the most amazing sounds and ideas. On “Sweet Lorraine” with the Benny Goodman quartet he plays brushes, playing quarter note triplets with his one hand (I guess, his right one) and two and four with his other. I never heard anyone do this before, especially not while swinging that much. But his work with Woody Herman is just as great, especially when remembering where he came from musically. Listen to “The Good Earth”, that’s as good and exciting as big band drumming can be. I’m a huge fan of Dave Tough and worked through his paradiddle book when I was kid. I wanted to ask about his practice pad. What’s with the soup can? Was to add resonance or some kind of feel? Truly, he might have been the greatest. Thanks.